eridan wrote: Ballistic range is irrelevant here. Missiles for s300 complex were tested in late 80s going over 300 km in pure ballistic profiles. Aim-54 could reach 300 km in a ballistic profile when properly launched but that is an useless figure. The Brahmos will most certainly not be achieving 300km range if it is flying low for the entire flight path. Why would the AS variant not be able to do 250km, when the anti-radiation variant can do that much vs smaller targets? Mind you these are all export range figures. Would not be shocked in the least that the Russian anti-ship variant can hit past 250km assuming a favorable launch profile. I agree here with Eridan. - 3 "small" Brahmos missiles per Su-30 and 2 per MIG-29. You are mixing oranges and apples. Ballistic range when talking S-300 is important and in no way connected with the continuation of your story about Kh-31. Because the Anti-Ship variant has to carry the radar which adds weight and occupies space. The AR version of the Kh-31 had always a greater range than the AS version. Air breathing missiles rarely have "ballistic" ranges. The range given of 180-250km is determined not by kinematic range and ballistic range, but by altitude and speed at launch.. which means it is not much different from Brahmos. Those same pages give actual, more useful ranges in practice, up to 160 km for actual antishipping range of actual antishipping variant. That is the launch range limit and is based mainly on detection range of the seeker and launch platform. A low all the way Brahmos is a mach 1.5 missile, which is still a very difficult target, but it wont be a 300km distant target either. Ramjets love the thin cold air up high... most jet engines do. Both missiles are designed for use against the USN and it is assumed that they will have AWACS aircraft and early detection... the purpose of the high speed is to minimise their reaction time so they don't have much time to do anything about it. For the vast majority of targets either missile would be fine... for many targets Kh-35 subsonic Uran is overkill. 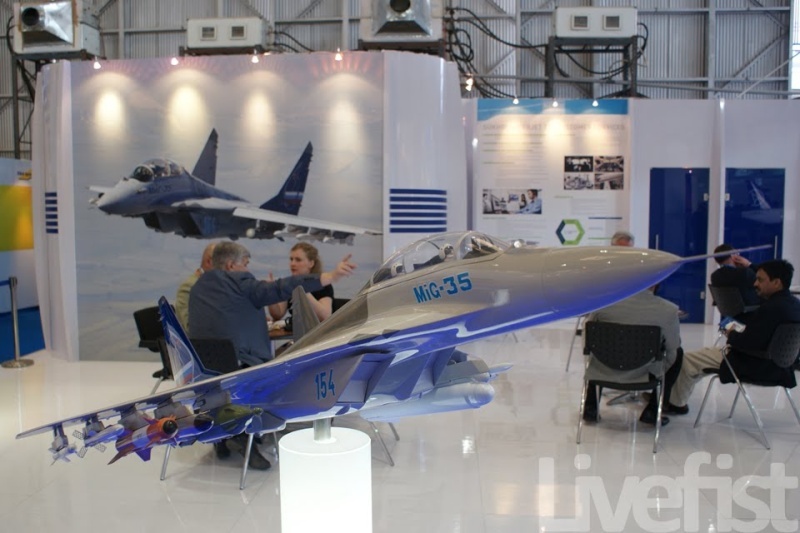 Please keep in mind that the Kh-31 we have data for is for EXPORT... the export model of the Kh-38 is listed as having a range of 40km on the website above, yet Russian military personel have stated that the domestic version will have a range of 80km. Even assuming a 160km missile range for the antiship model of Kh-31, what sort of magic are you expecting for a mini brahmos? Both are ramjet powered missiles... they have different weights and different payloads and different ranges but the same basic design. When you reduce the weight of the brahmos you will just end up with Kh-31 and to be honest if you want an effective mini missile it would make rather more sense to scale up a Kh-31 than to scale down a Brahmos because scaling down everything in size and weight is harder and more expensive than fitting a slightly larger warhead and adding more fuel to the Kh-31. 300km is not some magic figure that will make the launch aircraft safe... flying at mach 1.5 at 15km altitude 140km from a target makes you pretty safe from most sea targets. Why? If the target has to be saturated to ensure a kill there is no reason why a Mig-35 couldn't carry 6 or more. The new model ARMs carry broad band antennas to detect a wide range of signals and computers for signal processing to locate the emitter with an autopilot in case the emitter turns off during the attack... after the first anti ship missile has been fired it would actually make a lot of sense to fire a few ARMs at the ships to mix things up. But it is a model that shows on the side closest to the camera what appears to be a 1,500kg guided bomb, an AS-11 anti radiation missile and a TV guided Kh-29 missile. The Kh-29 is over 600kgs, as is the Kh-58 (AS-11), and of course the KAB-1500 is also well over 600kgs, so I would expect a load of 6 Kh-31s should be possible with an R-77 and R-73 on each wing for self defence would be a very practical load for the Mig-35. Make a missile that is 1.2 tons and it will likely only be able to carry two or perhaps three. The whole point in making it smaller is to either carry more, or be able to deploy it on a wider range of platforms... or both. Kh-31 allows more to be carried than a 1-1.2 ton mini Moskit. OMG what are you guys even talking about? Let's not forget the air launched version either. Hell, it can even be launched from a helicopter (Ka-52 in the future maybe?). Although I don't know if this version has been ordered/is in service. Give some love for it; not every target needs a high-supersonic ship-buster with a half-ton warhead. The Kh-35 is cheap, short, light and can be launched from a greater variety of platforms than anything else. flamming_python wrote: OMG what are you guys even talking about? Well...only the Steregyshy does, none of the others do. The 120km range flight profile of the Moskit was purely for anti AEGIS use and when launched on that flight profile the maximum height it achieves is 300m to find its target where it drops down to below 7m which is the altitude it flys at for the rest of the attack. AEGIS used Standard missiles in the 1980s which couldn't hit targets below 7m above the wave tops... Phalanx can't hit targets at that height either so the AEGIS class vessel is dead meat. That was what Moskit was designed for from the outset. No only the first ship has Uran, the rest are all UKSK equipped, starting with first serial unit - Soobrazitelny. No. No UKSK on Soobraz, Boiky, SToiky. They are equipped with Uran and Redut SAM. The updated ones, Gremyashy onwards will have the UKSKs plus the Redut SAM. But the Navys goals are standardisation and unification of weapons and systems and propulsion and sensors... so eventually even the vessels of the Black Sea will have Klubs and Onyxs or better... subs, and corvettes to carriers. They are equipped with Uran and Redut SAM. Ironically the Rif-M can be targetted against ground/surface targets, so while its 150kg warhead might be rather less than a Granit, at mach 6 it would be one of the faster missiles you could fire at targets up to 400km away. What would stop them from theoretically integrating the Uran into the UKSK launch cell too? It's shorter, lighter and narrower than the Klub and Onyx; so it shouldn't be a problem with a little modification. TheArmenian wrote: No. No UKSK on Soobraz, Boiky, SToiky. They are equipped with Uran and Redut SAM. Armenian is completely right, uran on all 20380. I somehow turned the foreward Redur VLS battery into UKSK. Steregushy ofc doesn not have Redut either. flamming_python wrote: What would stop them from theoretically integrating the Uran into the UKSK launch cell too? It's shorter, lighter and narrower than the Klub and Onyx; so it shouldn't be a problem with a little modification. Keep the Kalibr or Yakhont/Onyx in the UKSK. They are more potent than the smaller Uran. Having a special tube for Uran or Uranium, would be the complete assimilation of all Russian anti ship missiles into the UKSK design... except of course the Granit and Vulkan. It would mean all Russian ships and boats could be fitted with one and only one type of missile launcher that can deal with ships, Subs, and land targets. For the ship it means a much wider range and choice of weapons can be used from her standard tubes. For the missile it means that it can be deployed to any Russian port and rapidly fitted to any Russian vessel. Having a dedicated Kalibr launcher means only vessels fitted with that launcher can attack land targets... only specific Soviet Subs had missiles able to hit land targets and none of them were conventionally armed. New Russian ships and subs will have the choice of a range of missiles for the purpose of land attack, anti ship use, or anti sub use. Adding Uran to UKSK makes Uran more widely usable without modification, and it makes UKSK more capable as well as the ships that use it. Because of the size difference you could probably fit 8 Uran missiles in a single UKSK tube... which makes things rather more flexible. Of course Uran is a light multi use anti ship missile including air launched models. I remember early on there were mini Urans proposed for lighter aircraft like Ka-226T with a reduced weight and range as a similar weapon to the British Sea Skua. Something that could be used by border patrol without nuking a non cooperative vessel. A 25-50kg warhead being the key here. 1. Iskander now has some competitors like UKSK caliber and also Onyx modified in to canisters. The truck vehicle hiding the missiles in the box like fashion. Novator 3M54 in the canisterised version hav subsonic speed in majority part of its flight. is still being tested due to the delay of the Pr 885 and other warships.Its designation is still secret. 3. The Iskander-M has been removed from export and it now available only for Russian units for next 2-3 years. 4,The onyx and Iskander vehisles are almost similar in their outer looks. 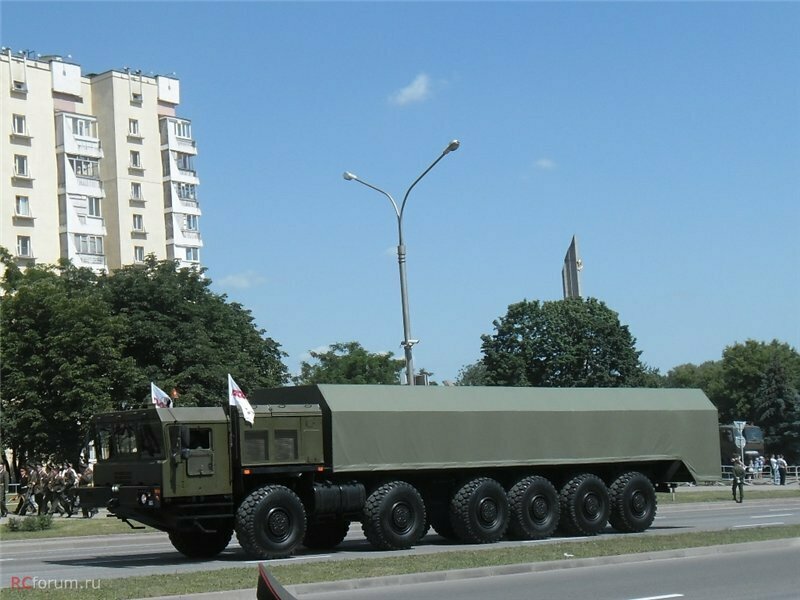 Someting similar to MZKT-79221 truck from Belarus. Onyx missiles fly at very low altitude of 50-100 meteres from Ground level. which ships/submarines will take Onyx?? I dont think any Russian ships /subs will have Onyx. The yakhont/Onyx is very old system and is not suited to any needs of Russian navy. The more modern corvettes are going for Calibre supersonic missile. Other anit ship mssiles the Russian Navy is not interested in. Remember that Calibre system is used in the first Project 885 severodvinsk submarine. The reason yu guessed it . strategic and strike systems of Pr 885M or Russian destroyers. Modern 21st century antiship missiles of Russian navy are very classified in nature. stop gap measures in Russian naval doctrines. The russian navy is more interest in Moskit 3M82 kind of missiles for their short reaction attack profiles. Videos of Moskit launch from russian black/other fleet are not available at all. but their performance marks/including radar control systems are far below Russian naval requirements. The UKSK launcher is a unified launch system that can launch Onyx, Yakhont, Brahmos, Kalibr, and the Klub family of missiles. The actual missiles loaded in those tubes depends on what the ship is expected to do on its mission. The Onyx/Yakhont/Brahmos is basically the replacement for the Moskit/SS-N-22 Sunburn and also the Vulcan/Granit and in the domestic version (Onyx) has a range of between 500km and 700km at Mach 2.5-3. It will likely be replaced by the Brahmos II/ Zirconium Hypersonic missile with the ramjet propulsion replaced with a scramjet resulting in a speed increase likely to mach 7 or so. The Kalibr/Klub system with long range cruise missiles for land attack and anti ship use will also be used as not every target needs very high speed. Long and very long range weapons will be very useful even to Russian Corvettes as the information system includes satellite based detection systems and the data collection and sharing system means every vessel from ship to sub has a picture of the sea surface, beneath the surface and the airspace above it. A corvette doesn't need to detect an enemy ship with its own radar to launch a long range missile attack upon it. I believe Klub is subsonic missile.It only has a terminal warhead which flies at high supersonic speed for only 30-40 kms max. The designation which I am talking about is 3M-54E Novator.Basically it is a subsonic missile. The kalibre is high supersonic throughtout its trajectory.That is it flies thousands of kms upto 2500 KMs in high supersonic mode. It may be 1 km/sec or 2.8 mach. Thats why there is some confsuion as what constitues klub or Kalibre. Kalibre is presently not given fro export.It s range is beyond MTCR regulations. The 3M-80 MOSKIT is high supersonic , quick reaction missile.It is now deployed in all Russian missile ships whether small or big. coastal missile batteries I guess "Bastion" .That is the deployment scenario of Brahmos nothing else. Its speed is equalor slighlty less than moskit but similar.It flies at 2.5 Mch from word go. Brahmos is universally deployed in Indian systems from ships , land to air.Various modifications are taking shape. The other thing is UKSK is now basically promoted as export launcher because Russian Navy is NOT showing interest in it. The reasons have been discussed here. i THINK uksk is alllowed to be deployed only from Pr 885 first submarine but it may be deployed in various corvettes under construction now. But UKSK is a viable solution for many export customers in South Asia. A bit of history is needed... in the 1980s the Soviets had two subsonic nuclear armed cruise missiles... one was the Kh-55 and Kh-55SM land attack cruise missile used by the Russian air force... the latter with extended range using saddle fuel tanks to extend range. The other was the SS-N-21 Granat, which was a different missile but basically of the same performance and use... subsonic all the way with accuracy of about 200-250m CEP which meant nuclear warhead was manditory. During the 1990s they improved guidance and other parameters and by 2000 they were testing the Kh-101 and Kh-102 which were much longer ranged (5,000km) and much more accurate (less than 20m CEP) which allowed the two models... one nuclear armed and one conventionally armed. The terminal guidance systems were accurate enough to allow conventional payloads to be effectively used so the guidance system was applied to the older Kh-55 to create the Kh-555 conventional cruise missile. In the case of the naval missile the problems were multiplied because subsonic all the way just wouldn't cut it any more so they adapted the design of a failed cruise missile called Alpha that was supposed to fly most of the way at subsonic speed and then fly the last few hundred kms at high altitude at high speed... this was genius because a missile able to fly thousands of kms at supersonic speeds would be enormous... the size of a fighter aircraft or bigger. By having a subsonic carrier and supersonic terminal phase it was like the missile was an aircraft and the payload was a missile on that aircraft... but that aircraft could be launched from a sub or ship. The result was Kalibr... the domestic name for the export Klub. Kalibr in the subsonic all the way version is just an upgraded Granat long range subsonic cruise missile (not to be confused with the 7 ton supersonic Granit), the Kalibr with the mach 2.9 terminal model is also Kalibr, and both have much longer flight ranges than their export Klub models. The subsonic Kalibr likely has a flight range of 2,500km, while the supersonic model probably flys 1,350km or so at subsonic speeds with the last 100-150km at supersonic speeds, or at low level the last 50km at supersonic speeds. Klub is the same family of weapons but with flight range severely reduced to meet export restrictions. There are also two other missiles in the family... both ballistic rockets that deliver torpedoes at mach 2.5 to distant submarines... one is for sub launch and the other is for surface ship launch. What propulsion allows this missile to fly thousands of kms at mach 3? No it isn't deployed widely. It was on the Sovremmeny class destroyers and a few light patrol missile boats. In its original version its range was 120km, though its max height was 300m and for the rest of the flight it flew at less than 7m above the water. In the improved upgraded model it had a range of about 300km. The original model weighed about 4.5 tons. It is being replaced by Onyx. Name one new Russian surface ship without UKSK. All the Corvettes and Frigates will have them and the destroyers too. It is part of the upgrade for the Kirov class ships with the 20 vertical Granit launchers being replaced with 10 UKSK launcher bins (ie 80 tubes). The Oscar class vessels are having their Granit tubes refitted for UKSK tubes, and I suspect the Slava upgrade will result in the Vulkan tubes being removed and replaced with angled UKSK launchers. Onyx outperforms Moskit in every parameter, Granit is out of production, Vulkan is not standard and old... the only option is UKSK launcher bins. For now with Kalibr and Onyx, but later to add the Zirconium hypersonic missile. UKSK is being exported because it is the only new cruise missile launcher they will have in service soon.